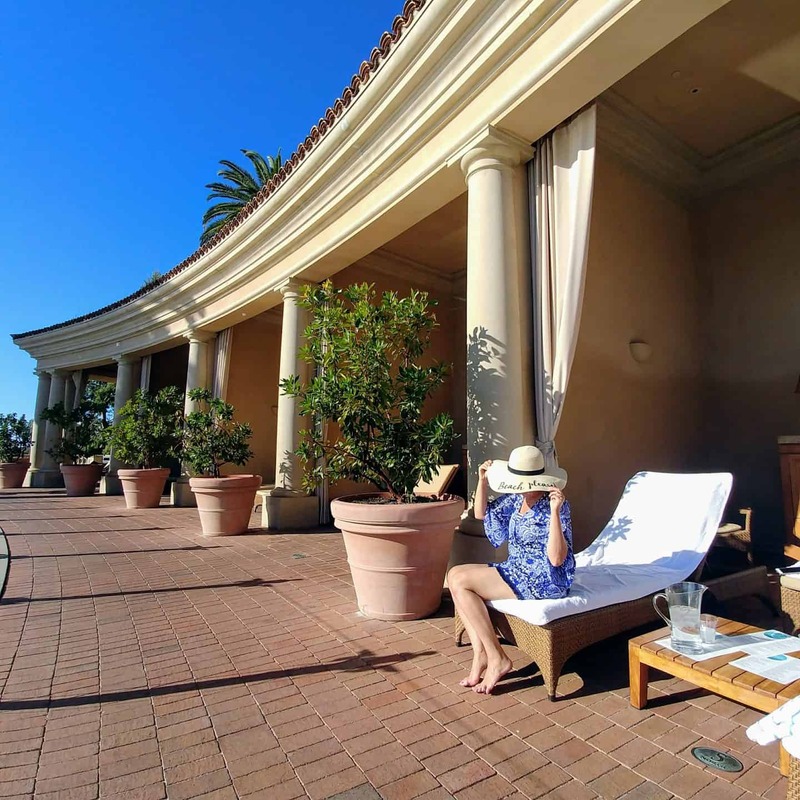 Traveling to Newport Beach, California is always special but when your stay is at a luxury five-star resort with stunning ocean views and an incredible one of a kind pool, it becomes extraordinary! 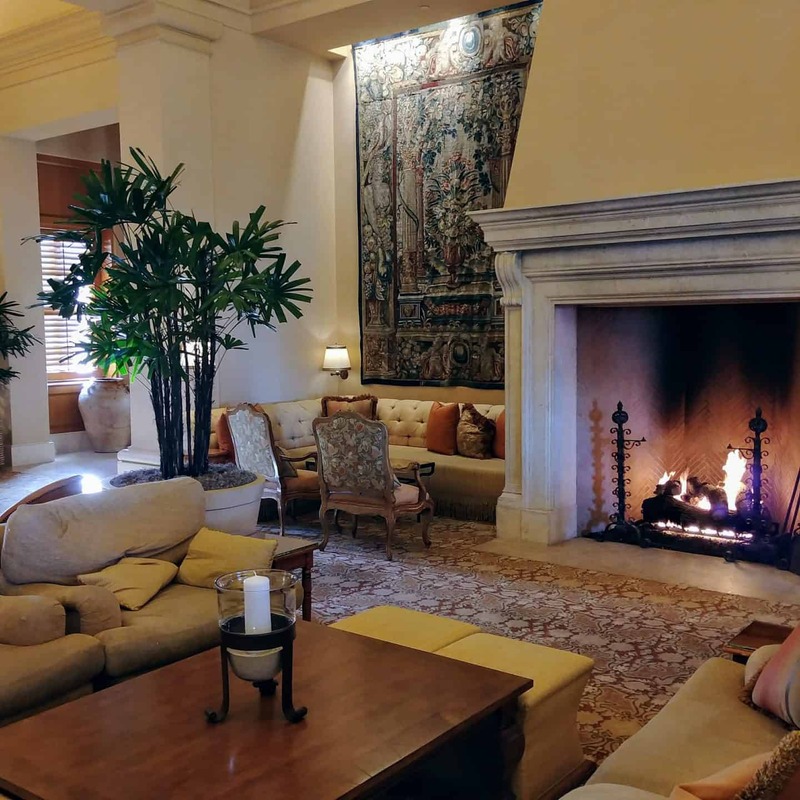 From the moment we arrived at the Resort at Pelican Hill Newport Beach, we knew this was going to be a luxury experience and it ended up even beyond what we could imagine! 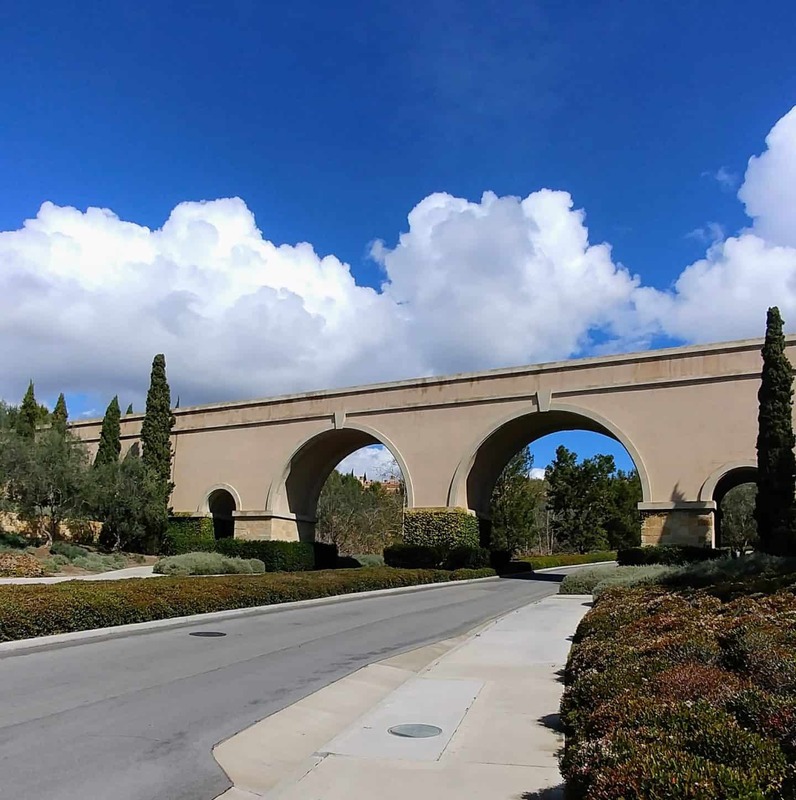 The grand winding driveway up to the Resort at Pelican Hill is just a hint of what’s in store as you arrive at the gated entrance. 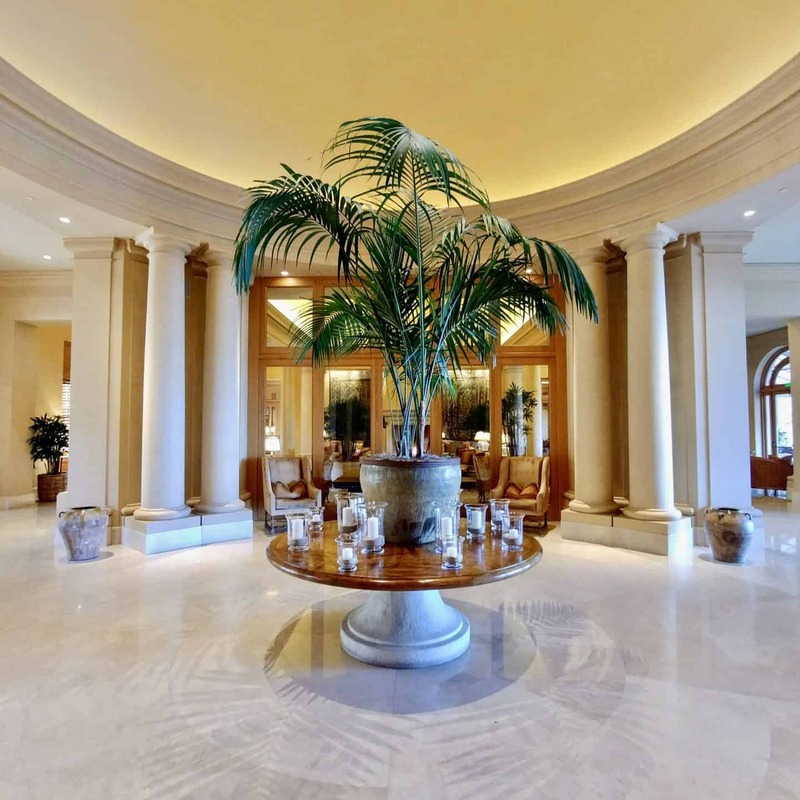 After checking in with security, we entered the lobby which is more like the foyer of a very luxurious mansion than a resort. 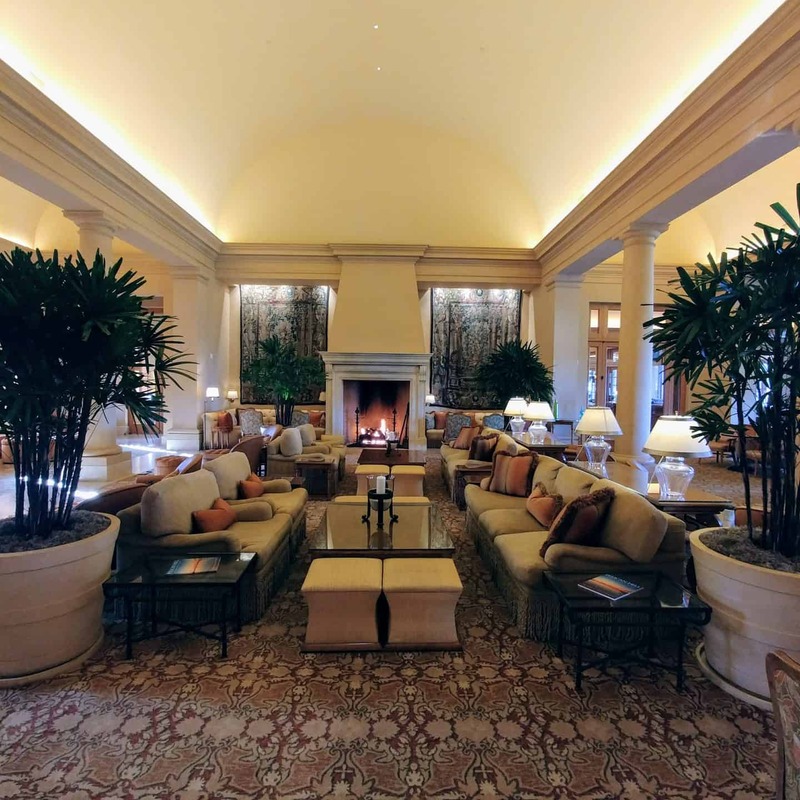 The staff here were so welcoming and made our check-in effortless. We were escorted down another lushly landscaped winding road to our own bungalow! 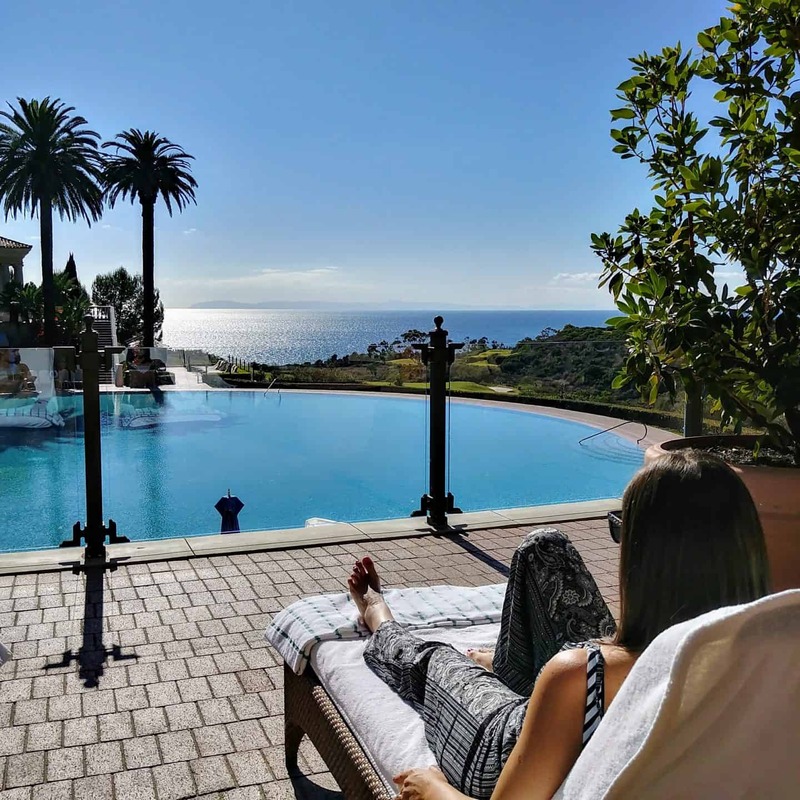 The Resort at Pelican Hill consists of residential style bungalows and villas up to four bedrooms that resemble those you would find in the Venetian countryside. 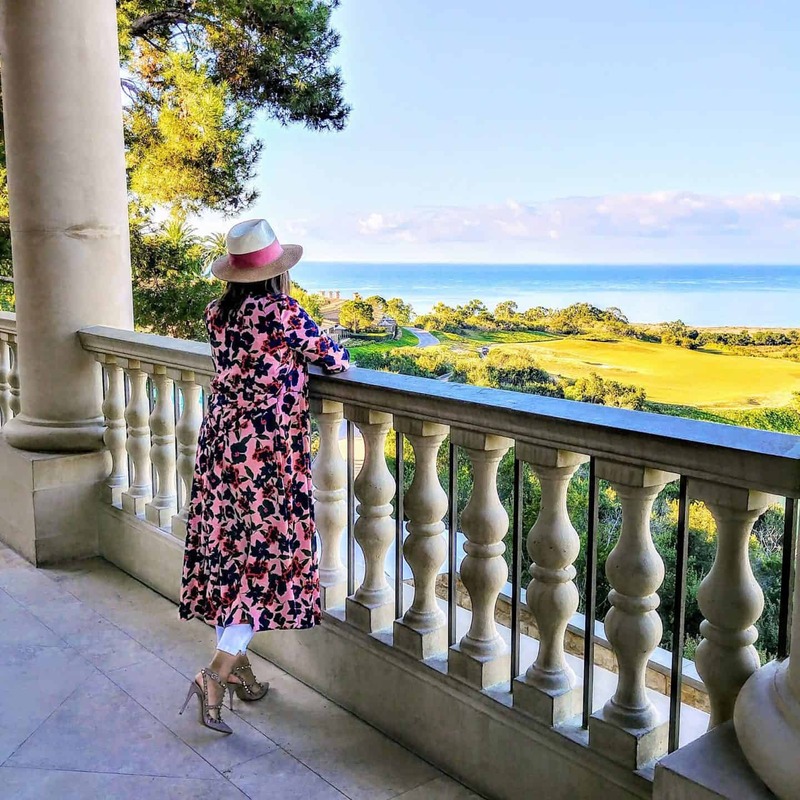 As our bellboy approached the entrance the anticipation was killing us and true enough when the door to our bungalow opened the sun from the balcony poured in and we were so impressed …this place is stunning! The high ceilings and coastal furnishings give this bungalow such an airy vibe, more like a beach cottage than a hotel room. 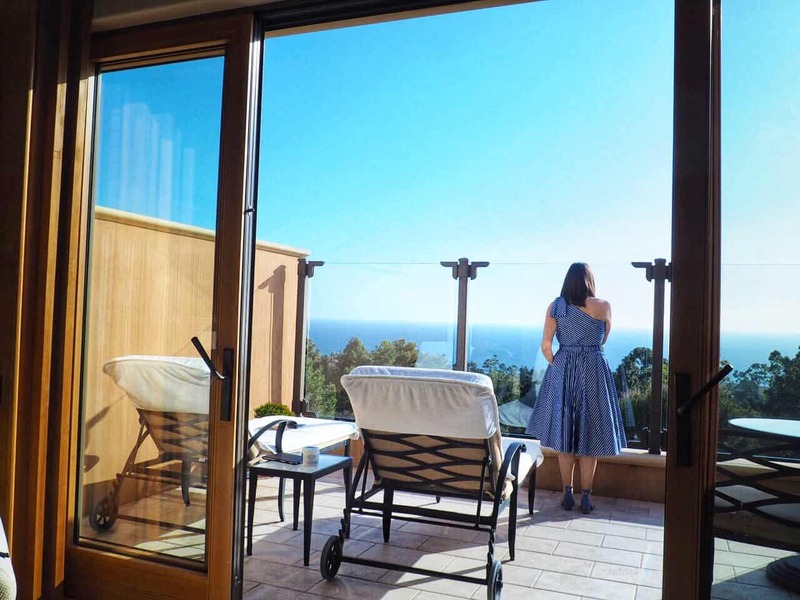 If this wasn’t enough, the view from the balcony just sends it over the top….perfection! 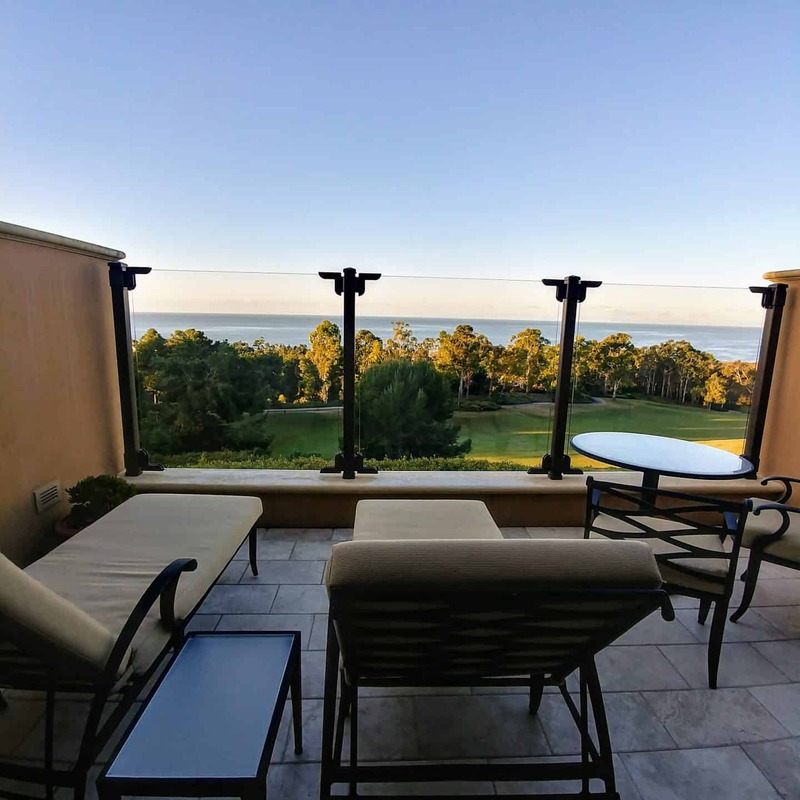 Overlooking the golf green and beyond to the ocean, an overwhelming beauty that really makes you not want to leave this amazing retreat! 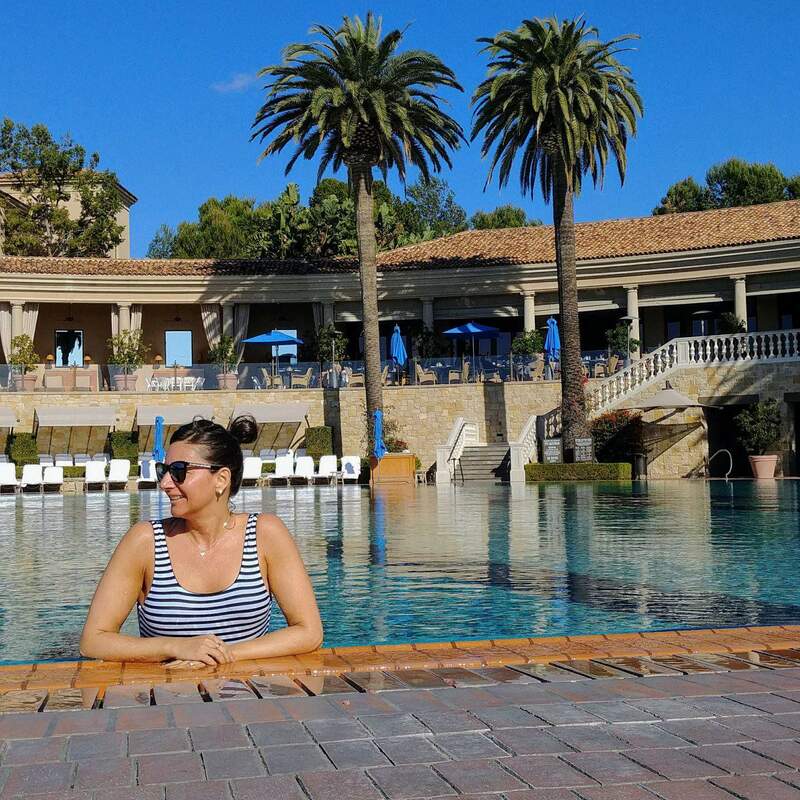 After being spoiled with the comforts of our bungalow, it was time to see the main attraction of this resort….the Coliseum Pool. Yes, we had seen pictures of this pool before we came but as we walked up to the second story balcony to get our first view, it was truly incredible. 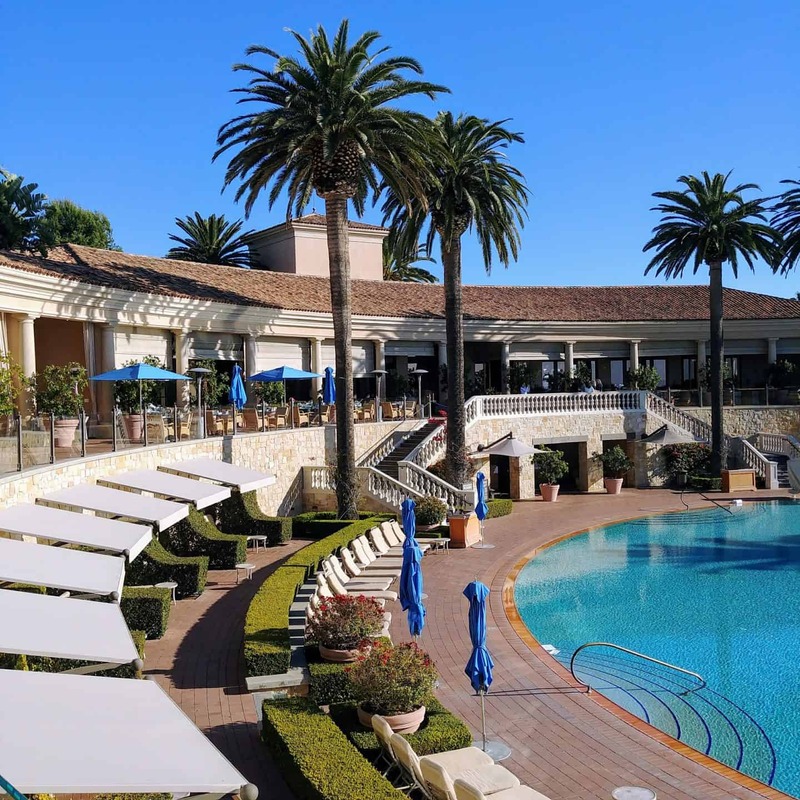 This pool is 136 feet in diameter and lined with over 1 million glass mosaic tiles reflecting the azure blue salt water and sky. 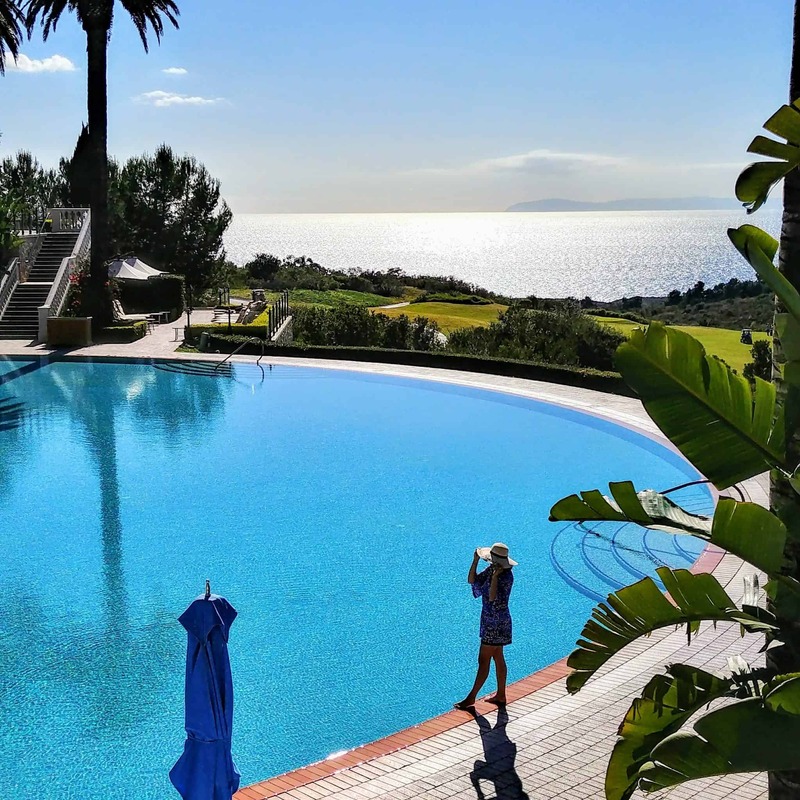 It truly is one of a kind…actually we now rate it as the all-time most stunning pools we have ever seen!! 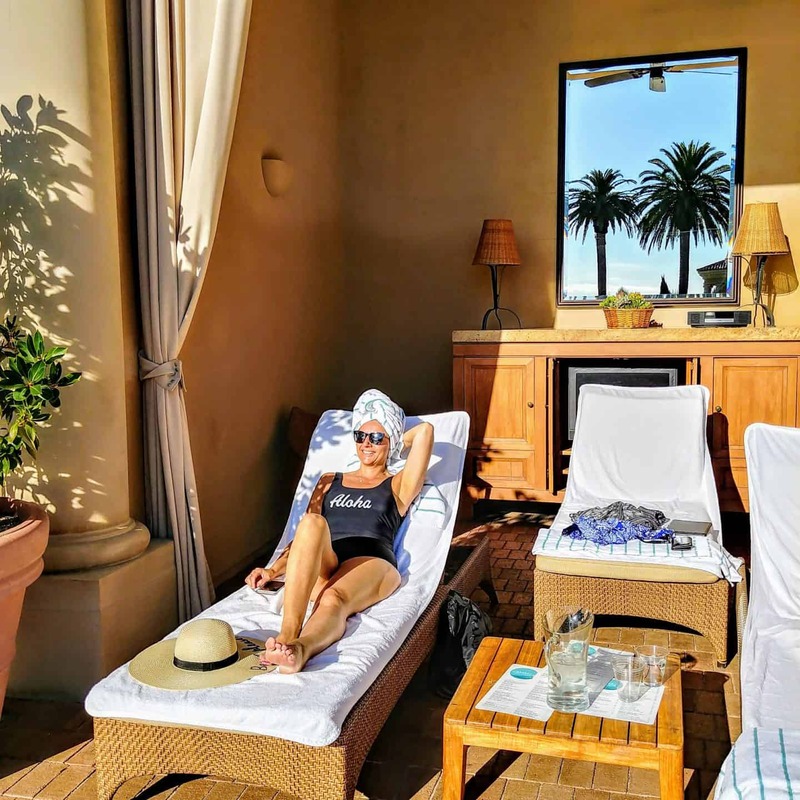 Nothing beats sitting by the pool, taking in the spectacular ocean views, in your own luxury cabana suite. The cabana offers the comfiest loungers with terry towel covers, a dining table, and chairs, Bose audio system, t.v. and of course a mini bar and gourmet food delivery from the resort’s restaurant. It just doesn’t get any better than this! 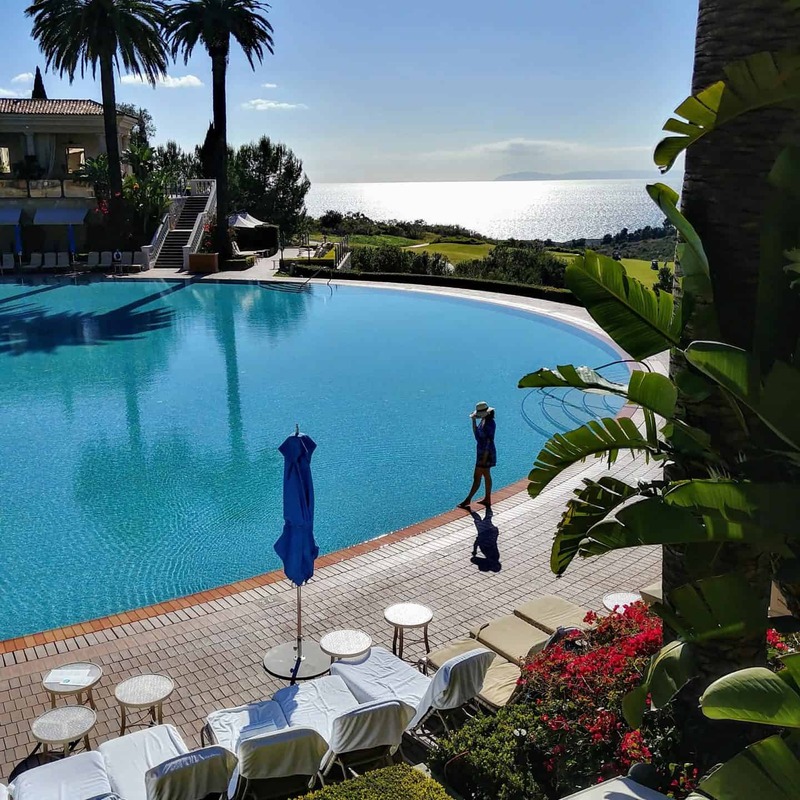 Although this is a true luxury resort, it never felt uptight or stuffy, the staff are like friends here offering complete service with subtlety.Their motto here is “If it can be done, it will be done“. 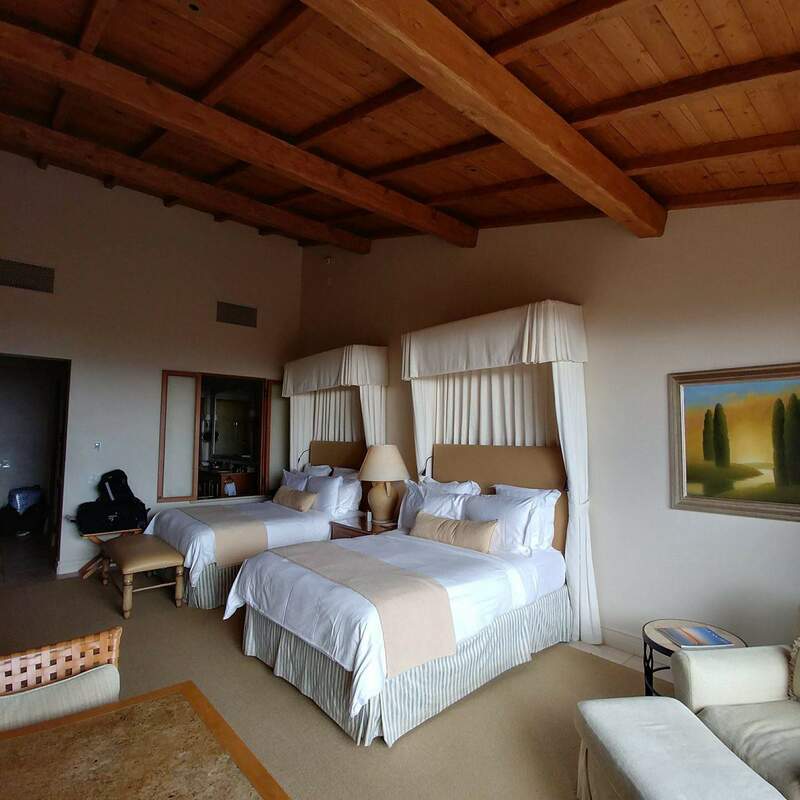 Spread over 500 acres of manicured grounds including 100-year-old olive trees and majestic palms, it offers the guests privacy as if you are in your own gated community. 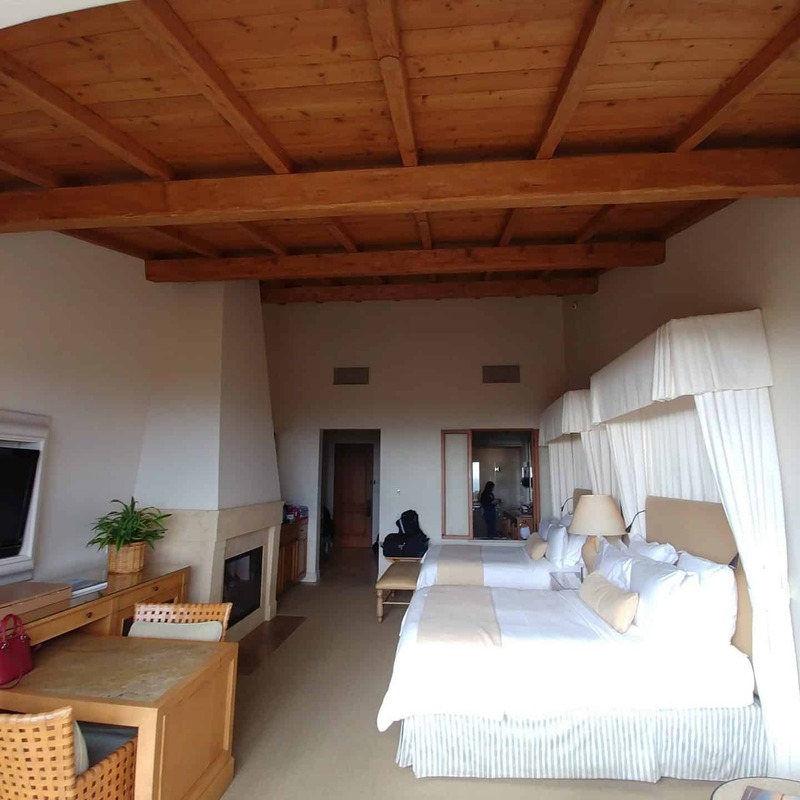 This is a truly special place, worthy of any monumental occasion, celebration or simply for treating you and your family to the very best getaway possible. 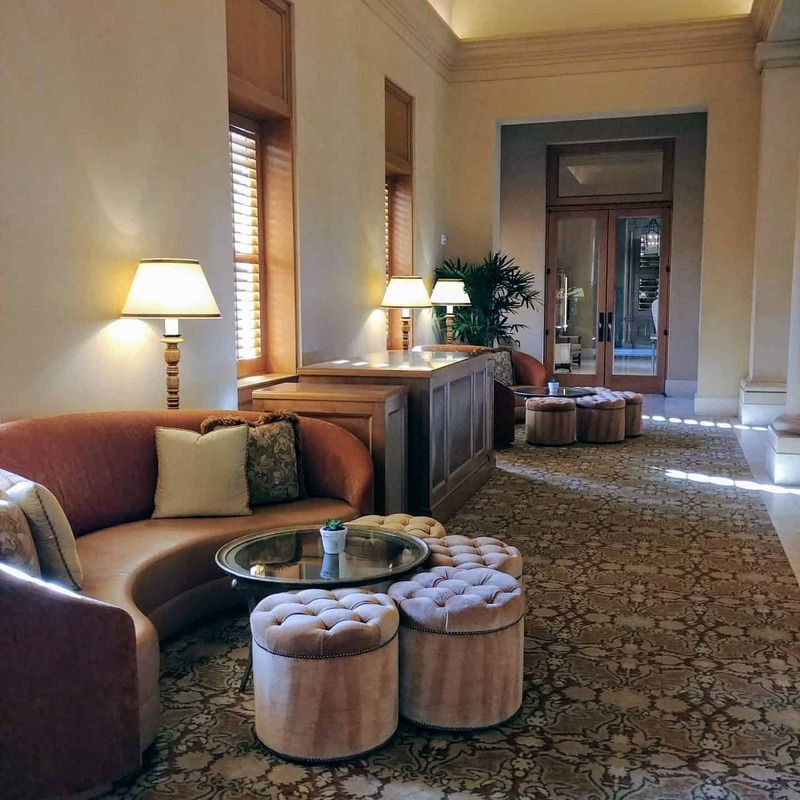 It was one of the most luxurious and memorable stays we have ever experienced and this is one place everyone must try at least once…you’re worth it! 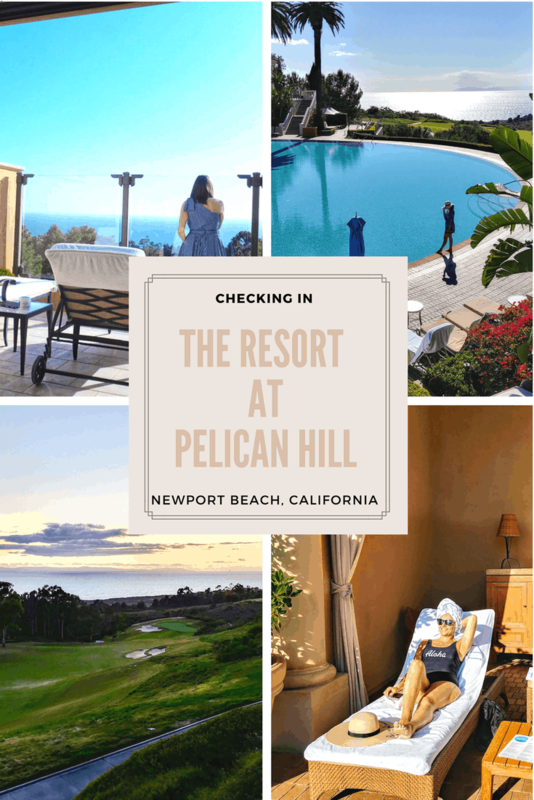 This post is written in partnership with The Resort At Pelican Hill. As always, opinions are my own. A huge thanks for a wonderful stay.